In many cases, you may need to delete contacts on your Android phone. For example, when you need to replace your old phone with a new one or simply when there are too many duplicate contacts saved on your Android. Speaking of deleting contacts on Android, you may possibly think it is just a matter of removing them within the device. But actually, if you want these contacts containing personal information to get disappeared permanently, that's not enough, since any professional recovery tool can easily recover the lost contacts! To permanently erase personal contacts on Android, you need to get a powerful eraser like this Android Data Eraser. 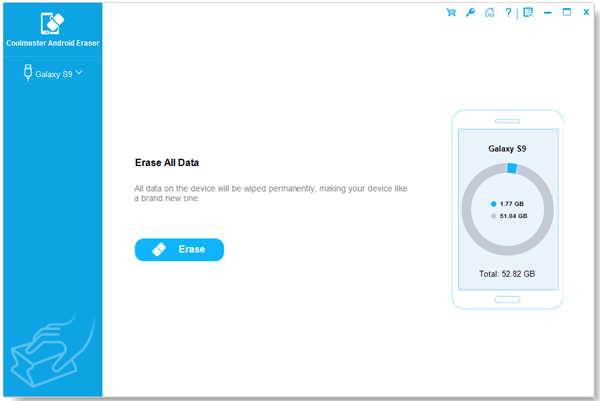 With this software, you can truly delete any files as you wanted from your Android device with zero possibility of being recovered, including contacts, messages, videos, music, apps and many more. Also, this software can enable to clean up useless junk files from Android, so as to free up more precious storage space and speed your device! Below is the free trial version of this software! Why not just download the software and give it a try by yourself? Step 1. Open the installed software on the computer and then get your Android phone connected to the computer via the USB cord. 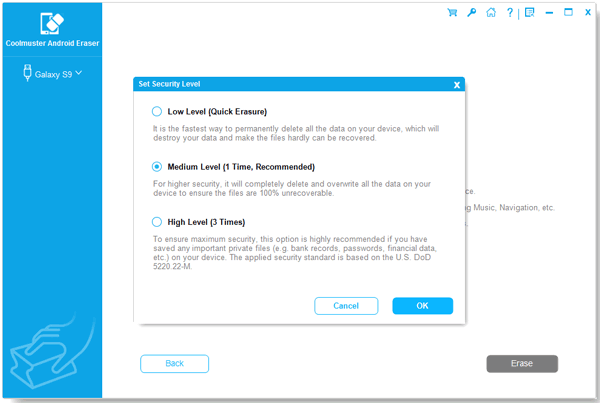 Then this software will detect your device and show you the below interface. Choose the right mode to go on. Step 2. Then you can see in the below interface where all file folders are arranged on the left panel. Just enter the Contacts tab to preview more detailed information. While previewing, you can also select the targeted contacts that you want to delete on Android. Then click on Erase option to permanently erase contacts from Android phones. Want to give it a try? Just go ahead! This software surely won't let you down!